At Steps, we are able to treat soft tissue pain and restricted joint movement through myotherapy techniques. 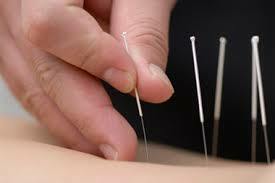 These techniques include massage, acupressure, stretching and dry needling. By incorporating myotherapy in the treatment plan, myotherapy can help clients to prevent further ligament, tendon or muscle problems going forward. Myotherapy services are offered from the Hughesdale clinic. Myotherapy combines a variety of treatment techniques that concentrate on the body’s soft tissue structures (muscles, tendons, ligaments and fascia). Pain caused by these structures is known as myofascial pain and can be relieved by your Steps myotherapist. Release of muscle tissue or muscle fascia will also assist you to correct muscle dysfunction; regain joint range; improve your posture; address sensory hypersensitivity; and improve sensory awareness. Soft tissue manipulation is defined as the manual manipulation of the soft tissues of the body for the purposes of breaking adhesions. There are different techniques your myotherapist will use to achieve this depending on the body part and the size of the soft tissue structure. Trigger points (also known as myofascial trigger points) are areas of hyperirritability in the soft tissue structure. They are manifested as small contraction knots in the muscles, and can be an acute source of pain. Trigger points can also cause spasms and referred pain. Trigger point therapy involves firm pressure applied by your myotherapist to the trigger point with the aim of releasing the knot in the muscle. Fascia is a thin, tough, elastic type of connective tissue that wraps most structures within the human body, including muscle, to support and protect our structures. Myofascial release is a soft tissue therapy targeting the fascia and its corresponding muscles. This technique is used to relax contracted muscles, improve blood and lymphatic circulation, and stimulate the stretch reflex in muscles. Myofascial dry needling is a technique that has been adapted from acupuncture in that it uses fine needles applied to the musculoskeletal system in order to deactivate myofascial trigger points. The needles are inserted into the trigger points to stimulate the points, desensitising or deactivating them and the associated referred pain, providing pain relief.